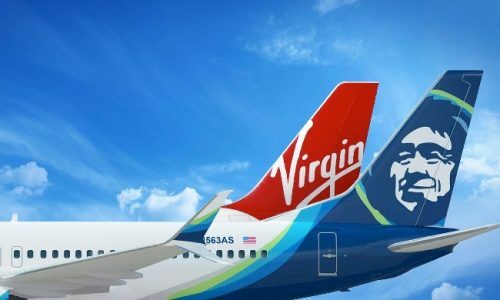 Alaska Air Group has agreed to buy Virgin America for $2.6 billion, the airlines said. Alaska Air (ALK) said it will pay $57 per share, sending Virgin America (VA) stock soaring 40%. Including debt and aircraft leases, the transaction is worth about $4 billion. The combined airline will have 1,200 daily departures, 280 aircraft, and hubs in Seattle, San Francisco, Los Angeles, Anchorage, Alaska, and Portland, Oregon. Alaska Air was reported to be in a bidding war with JetBlue (JBLU). The acquisition marks yet another step in consolidation in the airline business. Alaska Air is the eighth biggest U.S.-based airline in terms of traffic, according to the Department of Transportation’s 2015 data. No word yet on whether the brands will be merged or remain as is. To read more about this corporate takeover at NBC News, click here.